Nigeria’s population currently stands at 198 million – NPC Chairman Eze Duruiheoma – Royal Times of Nigeria. 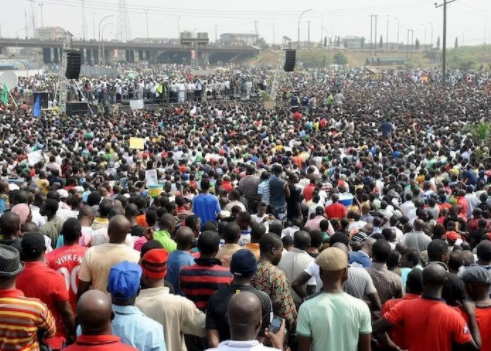 The National Population Commission (NPC) has put Nigeria’s current population at 198 million people with urban population growing at an average annual growth rate of about 6.5 per cent. NPC Chairman, Eze Duruiheoma, stated this in New York while delivering Nigeria’s statement on Sustainable Cities, Human Mobility and International Migration at the 51st Session of Commission on Population and Development. According to him, “Nigeria remains the most populous in Africa, the seventh globally with an estimated population of over 198 million. The recent World Population Prospects predicts that by 2050, Nigeria will become the third most populated country in the world. Over the last 50 years, the Nigeria’s urban population has grown at an average annual growth rate of more than 6.5 per cent without commensurate increase in social amenities and infrastructure. It grew substantially from 17.3 in 1967 to 49.4 per cent in 2017. In addition, the 2014 World Urbanisation Prospects report, predicts that by 2050, most of the population – 70 per cent – will be residing in cities. The 2010 human mobility Survey report revealed that 23 per cent of the sampled population were of more females than males”. He said the category of population mostly engaged in urbanisation and migration were young people of teenage and adolescents’ girls and boys, women of child bearing age and the working age population, adding that the existing urbanisation trend coupled with internally displaced persons (IDPs) in cities pose critical challenges to securing sustainability of our cities, including efforts to make them smart and responsive to human influx. He said these challenges adversely impacted on the quality of life and standards of living of the urban populace.